Hello to all my fellow music enthusiasts! It’s Andy Gesner and the staff at HIP Video Promo and for the first time we are promoting a fifth video from one of our favorite and most intriguing artists. 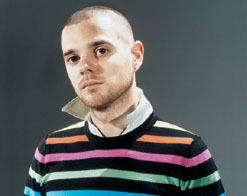 By now, there’s barely any need to introduce The Streets – even Americans recognize Mike Skinner as Britain’s best-known and best-loved emcee. It’s been both exciting and gratifying for us to work with our friends at Vice Records to spread the word about all the excellent Streets videos that have been made since ’04. This has been one of the most fascinating continuing stories in pop music, and we anticipate each new chapter as enthusiastically as any fan. We expect to be surprised – and on that score, The Streets rarely let us down. There are a few things we’ve come to expect from Mike Skinner, though: first, that whatever he’s writing about, he’ll be witty and observant; second, that even when he’s boastful or brash, his delivery is so remarkably human that he’s instantly identifiable; and third, that he’s never as rueful as he is when he’s partying hard, and he never parties as hard as he does when he’s being rueful. By the end of A Grand Don’t Come For Free, his instant-classic second album, it had become clear that hedonism wasn’t exactly working out for his thoughtful narrator. That set climaxed with “Dry Your Eyes”, a futile entreaty to the girlfriend he’d wronged, and a gorgeous, heartbreaking ballad. It became Skinner’s biggest hit, and the most direct and confessional song in his catalog. Until now. “Never Went To Church”, the latest single from The Hardest Way To Make An Easy Living, is this year’s “Dry Your Eyes” – and if anything, it’s even more personal and moving. Over an elegiac piano track, in forthright language, Skinner addresses the death of his father. He struggles to remember his parent’s face clearly, recalls bittersweet domestic scenes, and wonders aloud what’s been left behind as a memento. Skinner’s performance is, as always, quietly dramatic: emotionally intense, but reflective and approachable. There have been few pop storytellers so reliably engrossing. The Streets alternate between promotional clips that are fall-down funny and others that are starkly and brutally beautiful. Skinner followed the bruising, claustrophobic video for “Blinded By The Lights” with a hilarious spot for “When You Wasn’t Famous”; for “Never Went To Church”, he’s reverted to something introspective, cinematic, and poignant. The video finds the emcee in a near-empty railcar as the train rolls through gorgeous countryside – cinematography in Streets videos is always first-rate. Skinner speaks softly to himself, holding a slide of a stone country church up to the sunlight streaming through the window. Mountains are capped with snow, trees in the forest are bare – but if death seems present, so does a deep spiritual longing. The video concludes with a shot of Skinner in the front yard of the church he’s come to see. He’s still not going inside, but he’s ready to say some prayers. Here at HIP we are stoked to be working with our friends at Vice Records once again on what will be our fifth video promotion for The Streets! If you didn’t receive it when we serviced you the “When You Wasn’t Famous” video in March, we have many copies of The Hardest Way To Make An Easy Living album for all of your on-air giveaway needs, so please do not hesitate to reach out to us. Keep in mind that you should already have Mike Skinner’s video commentary for all the songs on the new CD, including a great commentary for “Never Went To Church”. If you need more info call Andy Gesner at 732-613-1779, or email HIPVideo@aol.com. You can also visit www.Vice-Recordings.com or www.The-Streets.co.uk to find out more about The Streets.